Pen-math systems allow for natural interaction with powerful computational tools such as Computer Algebra Systems (CAS). Despite the effort that has gone into designing such systems, there has been suprisingly little HCI research on how mathematicians work, what tools they use and why, and how pen-math systems might integrate into exisiting work practices. This project uses qualitative methods to examine mathematicians' work practices with the goal of understanding the manner in which computational tools such as CAS and Matlab do and do not support these practices. Andrea Bunt, Michael Terry, Edward Lank. 2013. Challenges and Opportunities for Mathematics Software in Expert Problem Solving. Journal of Human–Computer Interaction, 28(3), 222-264. Andrea Bunt, Michael Terry and Edward Lank. 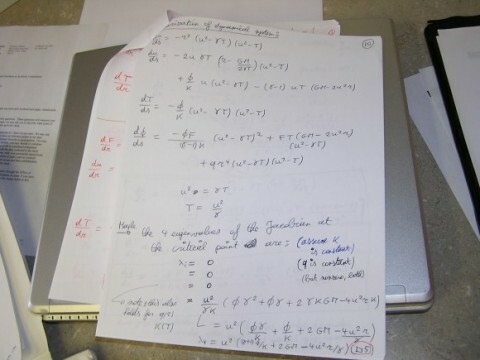 (2010) The Use of Computational Tools within Mathematical Work Practices. Workshop on Bridging the Gap: Moving from Contextual Analysis to Design, CHI 2010. Andrea Bunt, Michael Terry, and Edward Lank. 2009. Friend or foe? : examining CAS use in mathematics research. In Proceedings of the SIGCHI Conference on Human Factors in Computing Systems (CHI '09), 229-238.